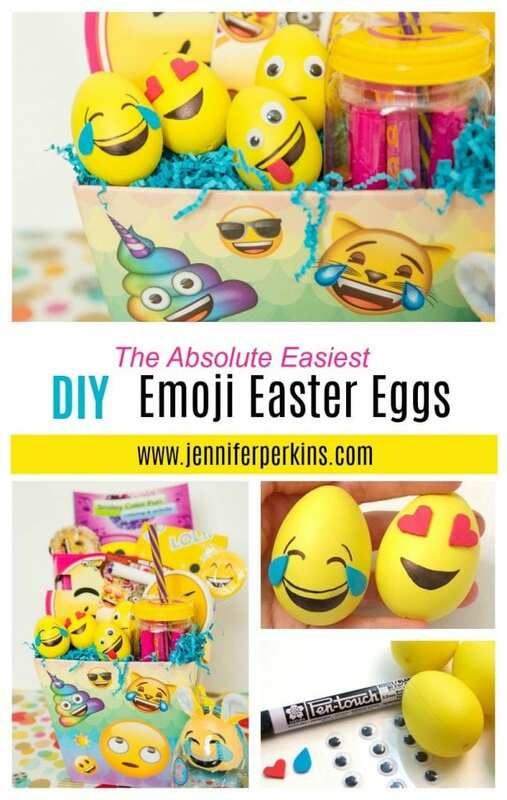 Easter Emojis – it’s a thing. Kinda a big thing actually. Entire Easter baskets with nothing but smiling poop, heart eyes and flamenco dancers. Who was I to resist the charm of this trend? 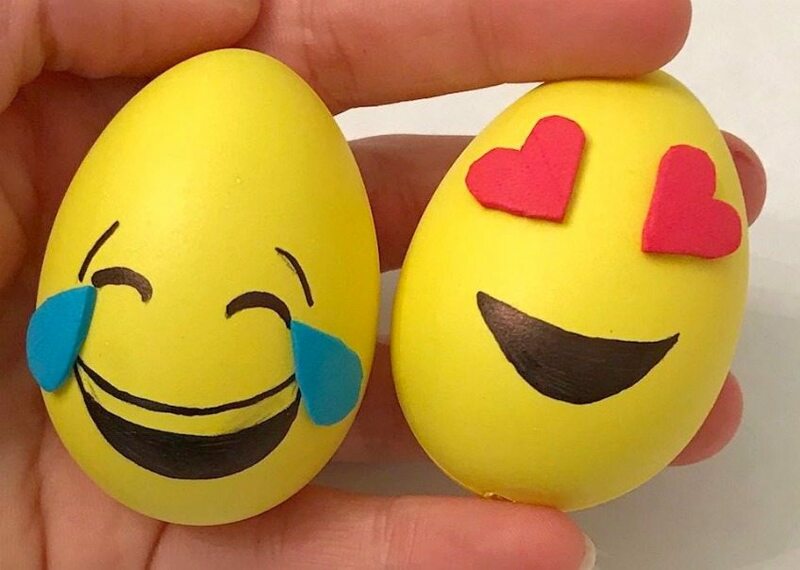 I too decided to jump on the Emoji bandwagon with these easy DIY Emoji Easter Eggs. 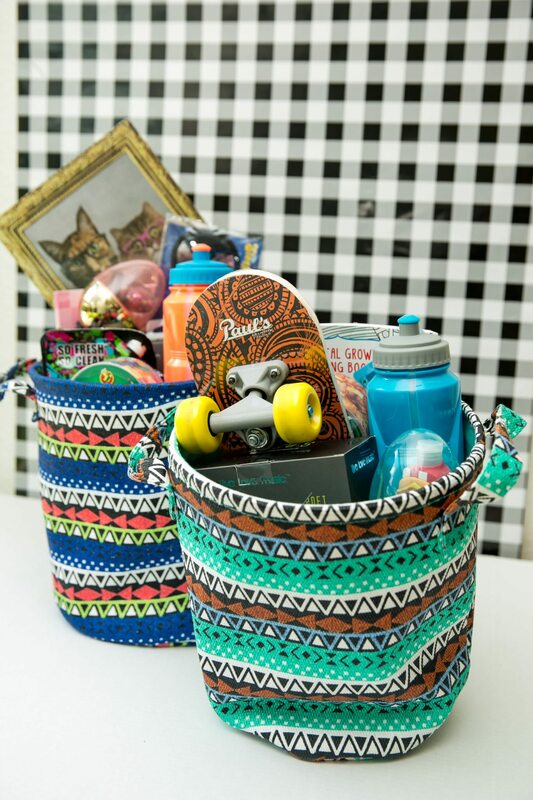 This basket is part of round-up for HGTV – 10 Fun Filled Themed Easter Baskets. Don’t forget to also take a looksie at these 15 Themed Easter Baskets That Aren’t Filled With Candy over on DIY Network. The supply list for these cuties is pretty minimal. See I told you there was not much to these eggs. 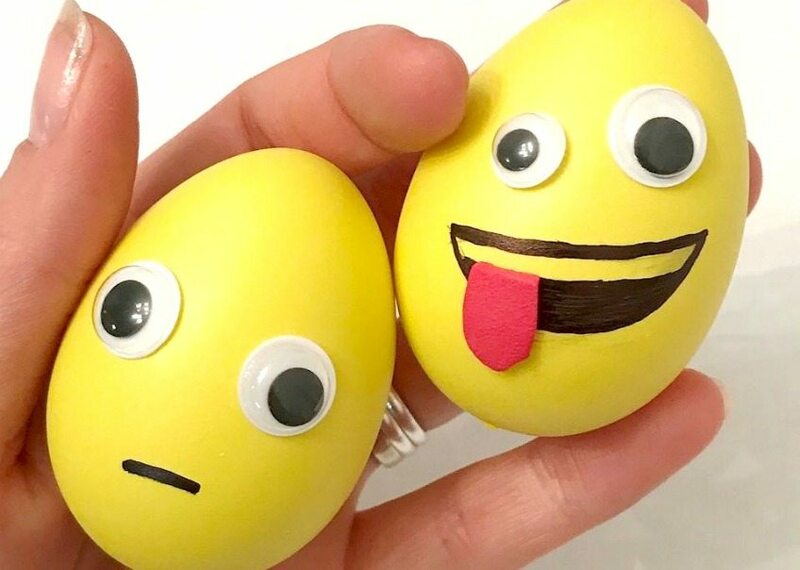 You can either dye real eggs yellow or you can use faux plastic eggs that are yellow. I think eye placement should come first. 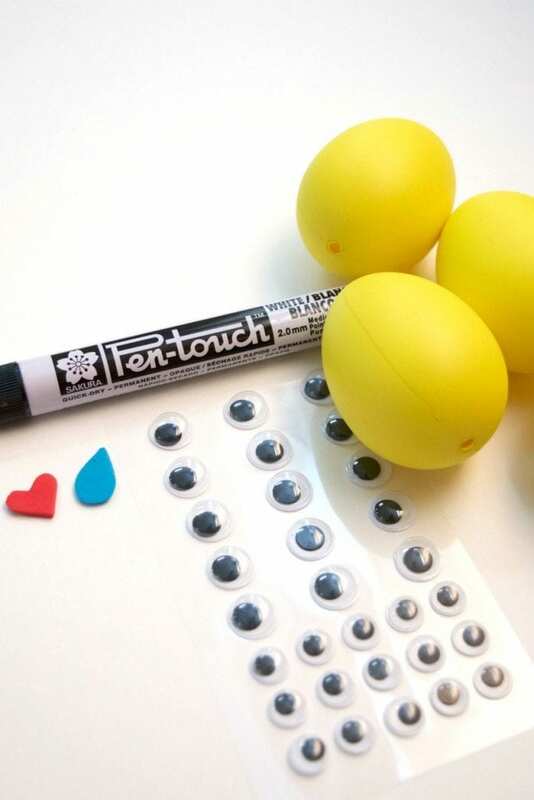 My googly eyes were already sticky back, but if yours are not a dot of glue will work just fine. Once you have your eyes placed, open your phone and pick your favorite Emojis. Use a black marker to draw faces. Again the faces your draw will depend on your favorite Emojis. Cut out pieces of sticky back craft foam as accents like heart eyes, tongues and tears. 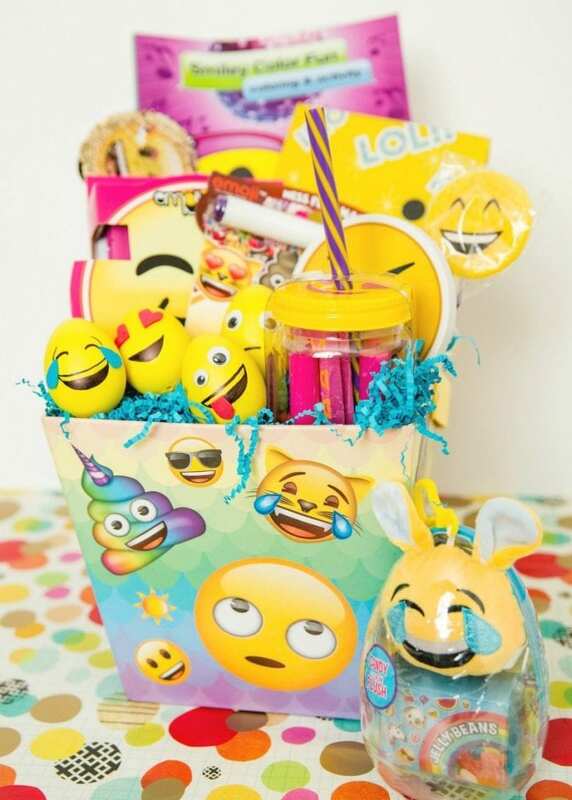 Fill your basket to the brim with all things yellow, smiling and emoji-rific! This begs the question: what is your favorite emoji? I tend to use the one with the hand on his chin in deep thought. Be sure to check out all the rest of my Easter ideas and follow along on my Easter Pinterest board. Want more Easter basket inspiration? Keep reading! 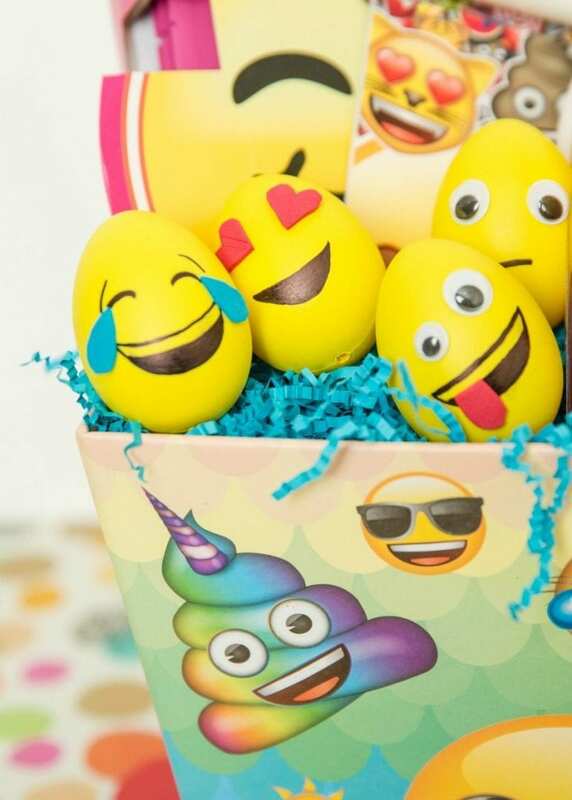 Tween Themed Easter Basket – Perhaps your tween is not so into emojis, well don’t worry I’ve got some basket ideas for them too. 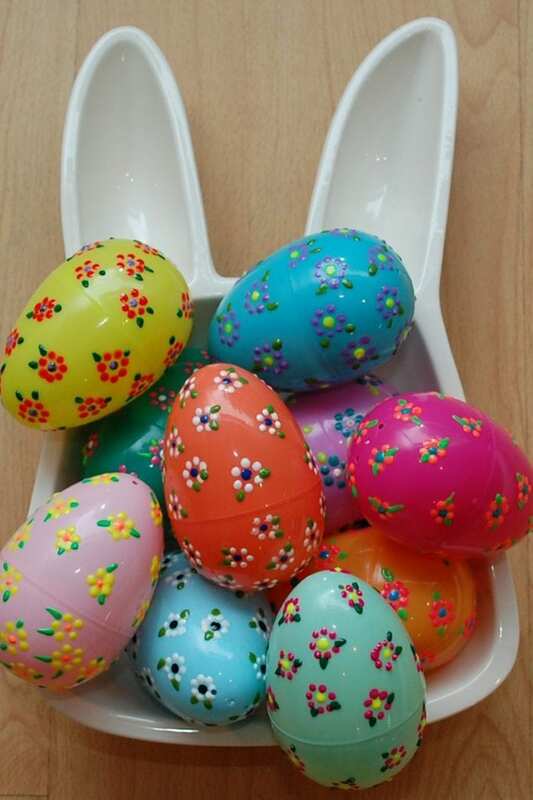 Puffy Paint Flower Eggs – Real eggs are not the only ones who can have all the decorating fun. Spread the love with these puffy paint flower eggs. 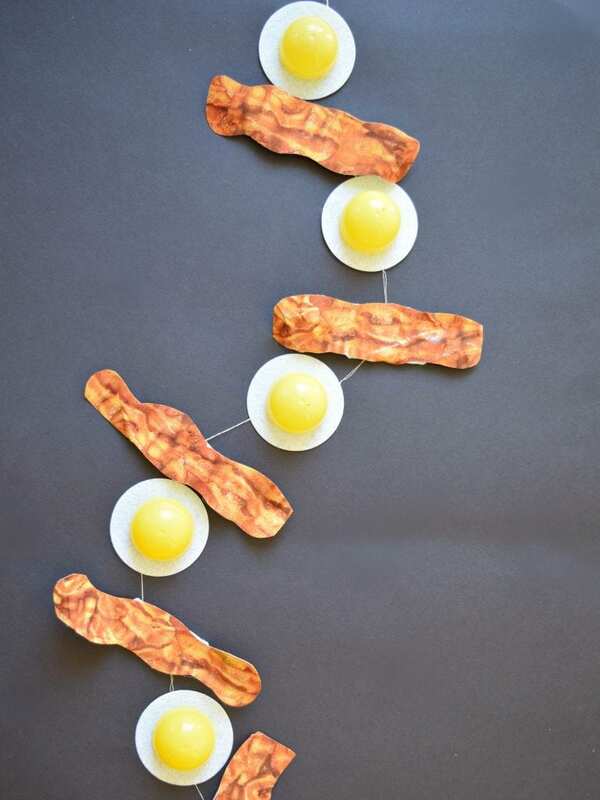 Bacon and Egg Banner – Looking for fun ways to re-use those plastic Easter eggs? I’ve got an entire post filled with inspiration over on DIY Network. Posted March 12, 2018 & filed under Easter, Holidays. These eggs make me happy! Hooray! I hope you try to make your own version. They really are super simple.